The P-38 Lightning “White 33” during World War II. 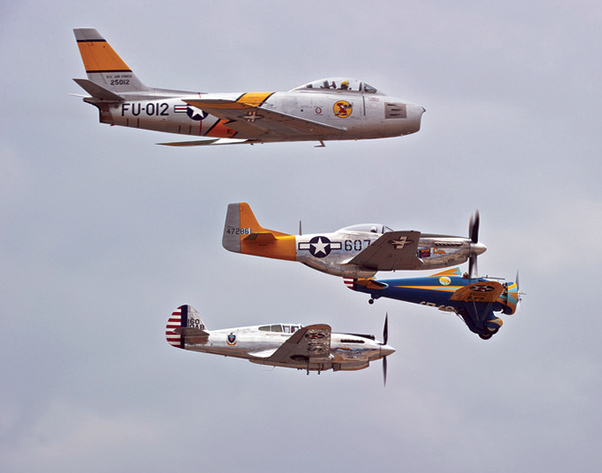 This coming weekend, May 5 and 6, the annual Planes of Fame Air Show is scheduled to take to the skies for two days of amazing sights and sounds. People will flock from all around the world to see aerial displays of vintage aircraft that are very rarely seen in a public venue. The long road to the Planes of Fame Air Museum’s yearly award-winning program started with one man who had a vision and belief that as time went by, somebody would need to step up and make sure that future generations could see the history of American aviation. 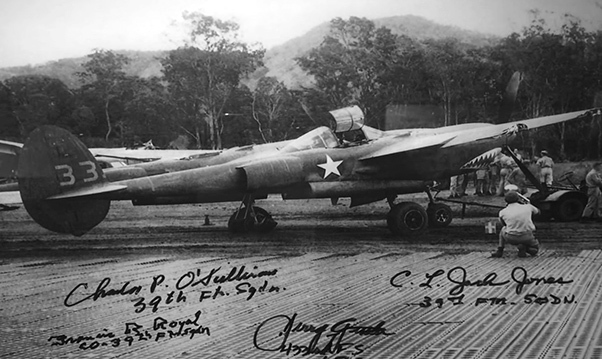 Edward Maloney started buying up old dilapidated airframes and acquiring discards from aviation companies, schools and museums in the 1950s. He rescued aircraft from collectors who had parked planes and let them rot away at the end of a runway or on a weed-covered field. Over time, the amazing collection grew. What many felt was just surplus aluminum in need of a smelter slowly evolved into not just static displays, but historical aircraft equipped to return to the air for what they were created for: flight. 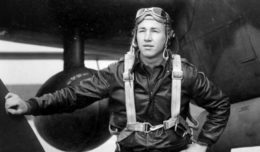 In addition to acquiring old warbirds, Ed forged relationships with men and women who shared his passion for his collection and its history. 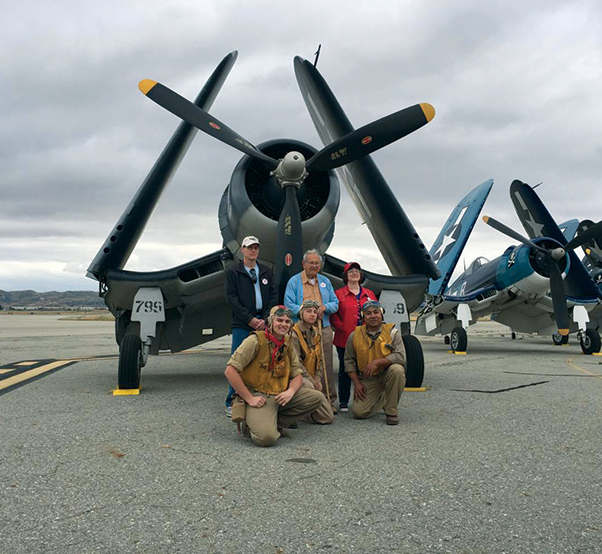 A group of young guys who became known as the “Chino Whiz Kids” invested thousands of hours into restoring and flying these historic aircraft. With every completed airframe, a bit of history came out of the history books and made it to the eyes of the passion-filled individuals who immersed themselves in all things that fly. 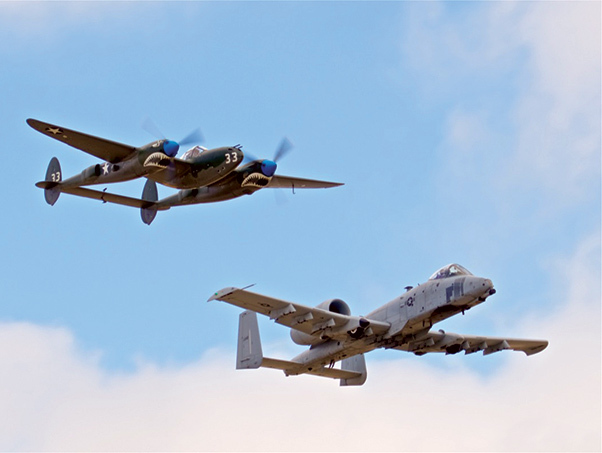 The P-38 Lightning “White 33” now, flying with an A-10 Thunderbolt II. Over the years the Whiz Kids, headed up by Steve Hinton and John Maloney, formed relationships with other passionate warbird collectors and museums to form a network that interacts with each other, keeping the rare birds in the air all around the world. Many times I’ve seen planes in the air over England or Japan that came from that shop in Chino. Many aircraft that perform heritage flights with our present-day military aircraft have come from the hanger that Fighter Rebuilders call home on the museum’s grounds. 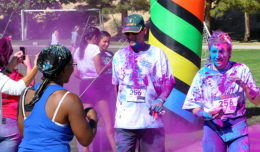 Movies, television and advertising are no strangers to the warbirds in Chino. 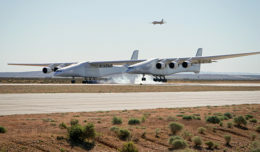 The collection is known as the go-to aviation asset when computer generated aircraft will not fill the bill, or when historical accuracy is desired. The pilots of Chino carry their Screen Actors Guild cards, and are the ones in the cockpit making the movie magic come alive. So how does this brief history of the Chino collection define the upcoming air show this weekend? The relationships with so many museums and owners have made the Planes of Fame Air Show the one event every year that is a “must-do.” Not only do owners and pilots want to hang out with others who share their passion, but they also love to show off their aircraft and fly in formation once a year with like-minded people! When that happens, the spectators are the real winners, for we get an aerial display that many feel is only duplicated at one other air show in the world — and that is in Duxford, England! 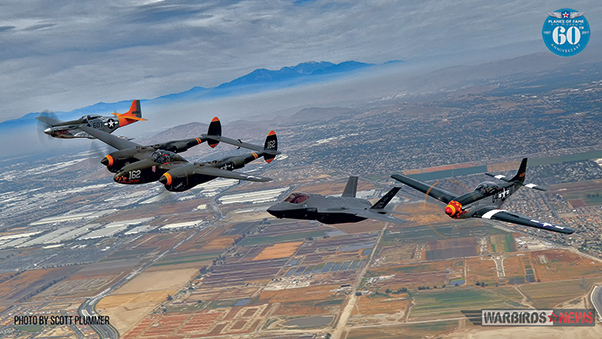 A Heritage Flight, including the F-35 Lightning II. Yep, we are pretty blessed here in the Southland to have this program take to the air every year. I think back many years ago, when my trip down to the land of dairy cows (and the smell that accompanied them!) was joined by hordes of flies, as those early air shows set the stage for what would become, I feel, is the best air show for warbirds in the United States! So until next time, when we will explore the history of the Douglas A2D “Skyshark” and its flight testing at Edwards, it’s wheels up, blue skies and for now, Bob out! Planes of Fame aircraft flying in formation. Aircraft from the Planes of Fame Air Museum in Chino, Calif., line up on the flightline.